Announcing the New Spring Titles from JBW Designs! 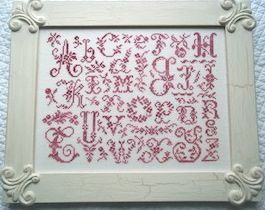 #315 Floral Alphabet - A feminine alphabet which can be beautifully framed or finished as a pillow. Stitched on #32 antique ivory Belfast linen. 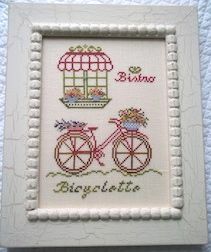 #316 French Country Bicycle - This is a new look for a very traditional French theme: flower baskets, lavender, a cafe and a bicycle brimming with charm. 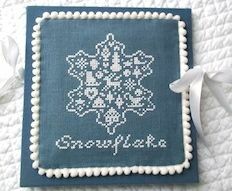 #317 French Country Snowflake - A shop owner in Vermont requested this design, and it was so much fun to stitch that I got carried away and stitched 3 different models. The model pictured was stitched on #32 Belfast Blue Spruce linen with white floss. 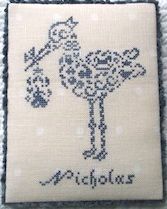 #318 French Country Stork - Stitched on #32 French Polka Dot linen from Fabric Flair. This design includes a complete alphabet to personalize the piece with names and dates. The model was finished as a flat hanging piece and it could be stitched in any color combination. 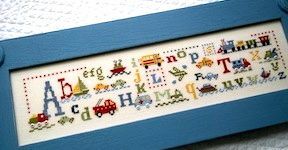 #319 - Ready, Set, Go ABC's - The perfect project for a little boy's room. I've used a variety of Classic Colorworks and Weeks fibers, and have a button kit available which includes all 22 tiny white and black buttons. The model was finished with a Family Tree Frame. #320 A Visit From the Tooth Fairy - A classic design for small children. A pre-finished pillow has been designed especially for this piece, and I've used JABC buttons for the fairy's wand and the corners of the pillow. Ooh La La - A darling little scissors picket kit. 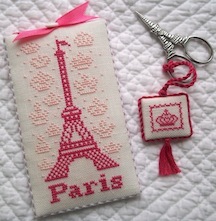 The pocket is on the back and I've used the cutest little pair of Eiffel Tower scissors to complete the theme. The kit includes a piece of #32 linen for the larger design and a piece of #28 linen for the scissors fob which is worked over one. Also included are the print and polka dot fabrics, ribbon, a button, rick rack and complete finishing instructions. Two background options are offered: either little crowns or an alphabet. Just select your favorite! Pastel Project Bag - A sweet little zippered bag, perfect for carrying one of your favorite new JBW Designs along with your stitching accessories. 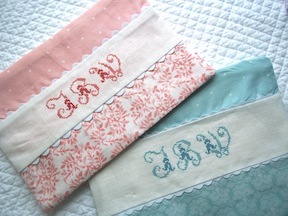 Two fabric options are available: one in peach and the other in aqua. Each bag has a #32 linen insert and requires no finishing. A complete monogram chart is included with each kit. 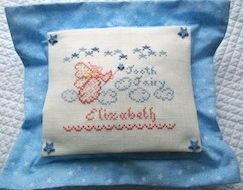 This would be a lovely gift for Mother's Day, a wedding shower - or something just for yourself! 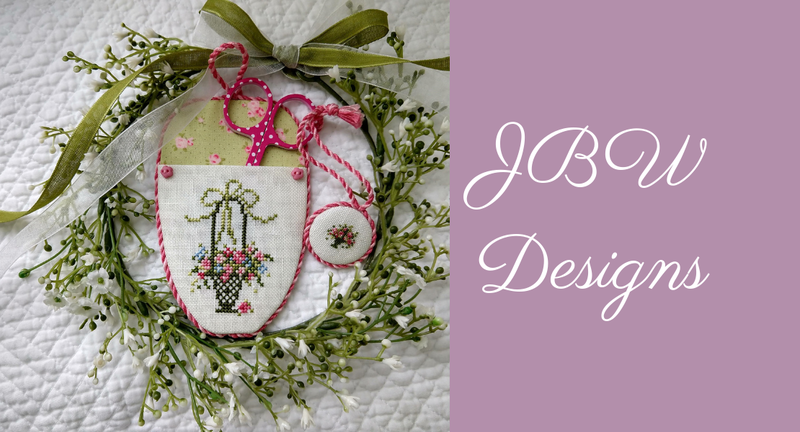 Find the New Spring Titles from JBW Designs at a needlework retailer near you!